A shipping container workshop from Port Shipping Containers is the answer to your prayers! Whether it’s the garage full of cars and stored goods, and you haven’t got any room to work on all the handyman projects you’ve got lined up? Or maybe you’re an artist or craftsperson and need a studio / workshop so you can let the dining room table be used for eating on again? Or perhaps your business is expanding, and another workshop would make it twice as efficient? Whatever your storage need is, a container workshop from us could just be the solution you were looking for. General Purpose Workshops – Stocked and Ready To Go! 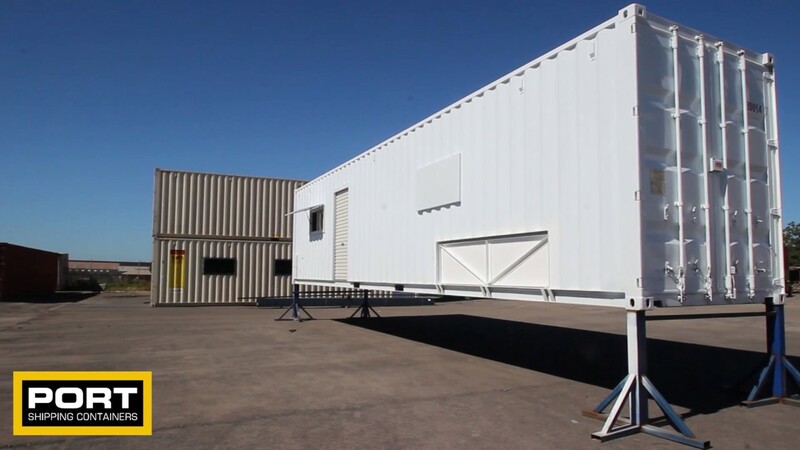 Here at Port Shipping Containers, we design and construct complete workshop solutions that can then be transported to your worksite or home, quickly and easily. No building required, as all the electrical and plumbing is already installed. And if you ever decide you don’t need the workshop any more, or simply want to move it somewhere else, it can be picked up and taken away within the day. 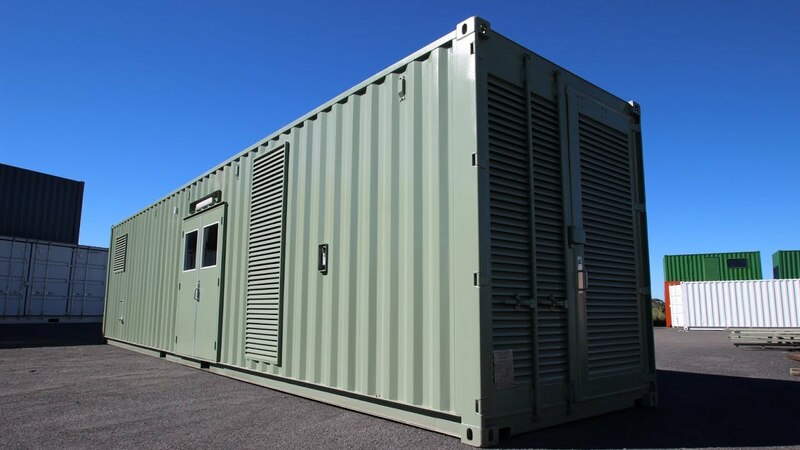 Of course if you’re in an industry where portability of the workshop is a must-have, then buying or hiring a portable shipping container workshop is a complete no-brainer. Because with Port Shipping Containers at the helm, there’s never going to be a need for you to to pack up a load of tools, or try and transport heavy equipment to a particular job. Just put the whole workshop on a forklift or truck and move it to where it’s required. 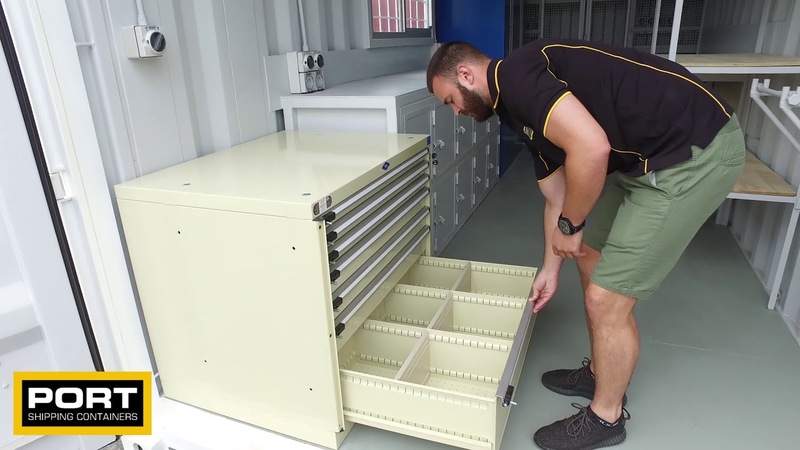 Super strong and rugged (remember, shipping containers are designed to travel around the world on a ship, stacked up to eight containers high, in all kinds of weather) a shipping container workshop is the perfect solution to all your worksite workshop needs. So whether you’re a home business, a small business, or big industry, Port Shipping Containers has a portable workshop that to suit. Available in 10′, 20′ and 40′ sizes. Roller doors and security windows. 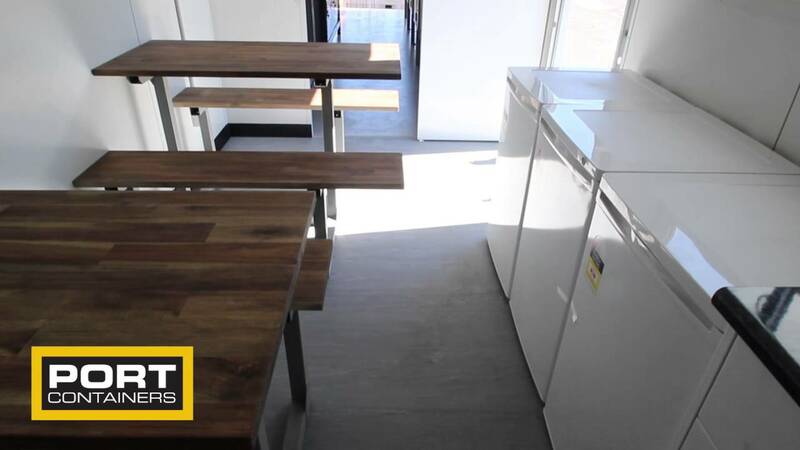 Heavy duty workbenches and shelving. 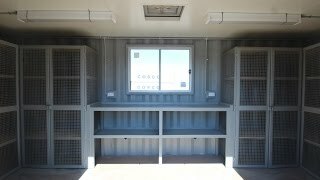 We’ve been building shipping container workshops for a long time, and we know what works in a portable shipping container workshop. Which is why we have a range of pre-designed workshop containers in 20′ and 40′ sizes. Of course you can also customise your workshop to your specifications with a range of container accessories. These include insulation and ventilation, plumbing, lighting and electricity, workbenches, shelving, container ramps, gantry systems, air-conditioning, wall partitions roller doors, emergency push bar doors, heavy duty personnel doors, security windows, awnings and more. We can also custom-build your shipping container workshop to your exact specifications if your trade has a particular requirement you need to cater for, or else you need a particular configuration. Because if you do, our container modification specialists can make a bespoke workshop 100% tailored to your needs. Remember, our engineers and fabricators have been building portable workshops for years, so they’ve pretty much seen it all. And if they haven’t, well, they love a challenge, and will be able to work out the best way to create the perfect workshop for you. Ready For Your Shipping Container Workshop? Great. We have one waiting for you! To get a quote, simply fill in our easy to use quote form and we’ll send you our complete price guide. 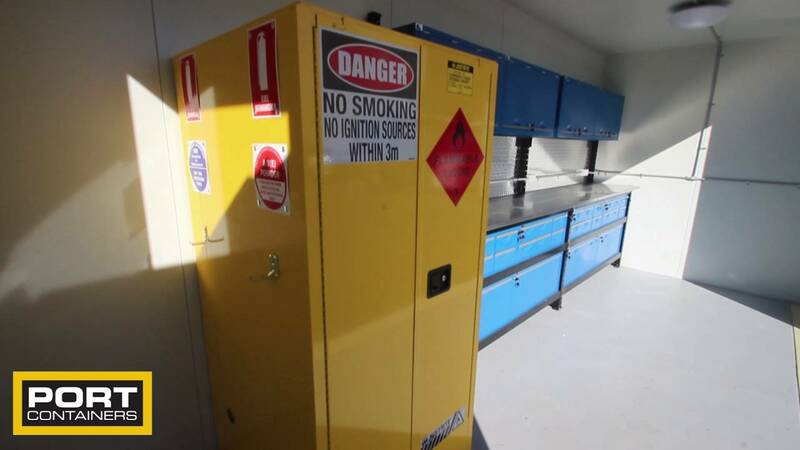 Alternatively, you can call one of our friendly sales team on 1300 957 709 and they’ll be able to answer any questions you have about how to get the best mobile workshop for you.